Originally developed as a city geared towards attracting retirees, Sunrise was originally called Sunrise Golf Village. The name was changed to Sunrise when it failed to appeal to the target audience. Since its incorporation, Sunrise has been changing from a town for retirees to a major tourist attraction with the addition of the fourth largest outlet shopping mall in the country, Sawgrass Mall. Sunrise also hosts Florida's only hockey team, the Florida Panthers, at the BankAtlantic Center located in Sunrise. Credit card companies and banks are selling their uncollected debt to collection companies in record number. If you've been sued by a credit card company, don't assume that the credit card company will automatically win! Call and set up an appointment for your free initial consultation. You probably don't know that your credit card lawsuit has to have certain documents attached to it or it can be dismissed as a matter of law. If your creditors threaten to garnish your wages - don't let them stress you out! 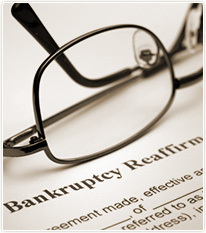 The Bankruptcy Law Firm of Clare Casas is here to answer your questions and help you decide on what your best option is. You don't have to live in fear of your bank accounts being frozen, wages garnished or property seized. Debt relief is available to you. This office is conveniently located just ten minutes from Sunrise and offers debt relief information and bankruptcy legal services to all residents of Sunrise. Clare Casas and her staff are fully bi-lingual and can help you with your debt relief or bankruptcy questions in Spanish or English. Directions to the Bankruptcy Law Firm of Clare Casas from Sunrise are as follows: Take University drive south to Griffin Road and turn left onto Griffin (going East). Approximately 1/2 a mile after turning onto Griffin, turn right onto S.W. 75th Way (just past the light). take your first immediate left and the office building is on your left hand side. Parking is available in front of the building and to the left of the building.